As an admin for Office 365, you can manage users in the Office 365 admin center preview. The people on your team each need a work or school account before they can sign in and access Office 365 for business. You can also remove users and reset your user's passwords if they forget it. 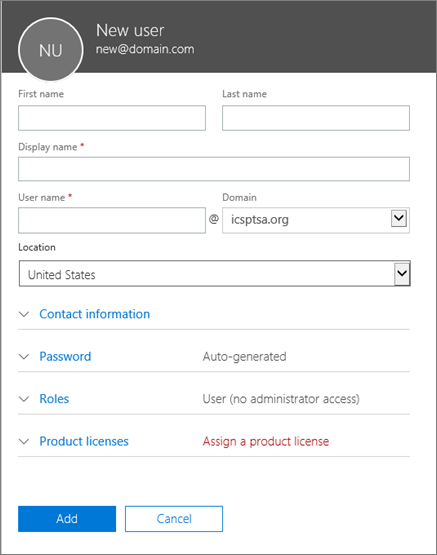 The people on your team each need a user account before they can sign in and access Office 365 for business. 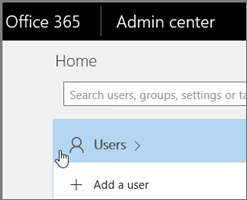 The easiest way to add user accounts is to add them one at a time in the Office 365 admin center. After you do this step, your users will have Office 365 licenses, logon credentials, and Office 365 mailboxes. 1. On the Home page, choose Add a user. 2. Fill in the information for the user. Choose Add when you are done. Name — Fill in first, last, display name, and user name. Domain — For example, if the user's username is Jakob, and his domain is contoso.com, he'll sign in to Office 365 by typing jakob@contoso.com. Contact information — Expand to fill in a mobile phone number, address, and so on. Password — Use the auto-generated password or expand to specify a strong password for the user. They'll need to change their password after 90 days. Or you can choose to Make this user change their password when they first sign in. Roles — Expand if you need to make this user an admin. Product licenses — Expand this section and select the appropriate license. If you don't have any licenses available, you can still add a user and buy additional licenses. Before you delete a user from your Office 365 business subscription, we recommend you save the user's email and OneDrive data, and take other steps to protect your business. IMPORTANT: Don't delete a user's account if you've converted it to a shared mailbox or if you've set up email forwarding on the account. Those functions need the account there. If you've converted it to a shared mailbox, you can remove the license from it so you aren't paying for it. If you set up email forwarding, you cannot remove the license. Doing so will stop the email forwarding and inactivate the mailbox. 4. On the Active Users page, choose the names of the users that you want to delete, and then select Delete user. Although you deleted the user's account, you're still paying for the license. You can remove your license through our Venti Exchange Portal (See instructions here) if your licenses were purchased through Team Venti. If your licenses were purchased through Microsoft directly, see the instructions below. You can also keep the license to assign to a different user. It won't be assigned to someone automatically. Use the arrows to delete licenses from your subscription. 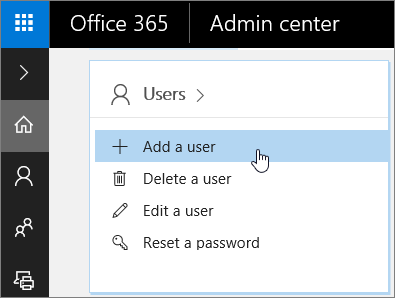 Only people who have Office 365 global admin or User management permissions for the business can delete user accounts. After you delete a user, you're still paying for the license that was assigned to them. You need to remove the license from your subscription to stop paying for it. If you want to keep the user's OneDrive data, move it to a different location. You can even do this up to 30 days after deleting the account. If you want to keep the user's email, BEFORE you delete the account, move the email to a different location. If you've already deleted the account: if it's been less than 30 days you can restore it, then move the email data, then delete the account. If you have an Enterprise subscription, like Office 365 Enterprise E3, you can preserve the mailbox data of a deleted Office 365 user account by turn it into an inactive mailbox. If your business uses Active Directory that is synchronizing with Azure AD, you need to delete the user account from Active Directory. You can't do it through Office 365. 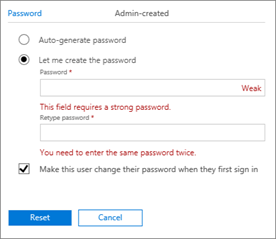 Reset an Office 365 password for your users. These steps are only for people using an Office 365 business plan. To do them, you need to sign in with your Office 365 admin account. What's an Office 365 admin account? 2. Go to Users > Active users. 5. Follow text on page.